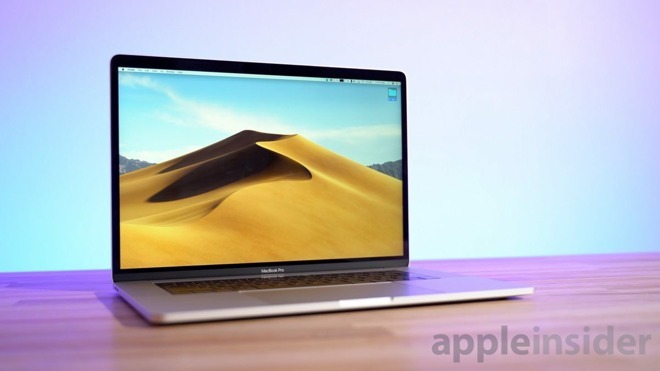 Four months ago, when Apple refreshed the 15.4-inch MacBook Pro with six-core CPU’s, graphics cards that come standard with 4GB of memory, and for the first time in a MacBook, the option of 32GB of system memory, we compared the performance of all three available CPUs and found the performance difference to be negligible. 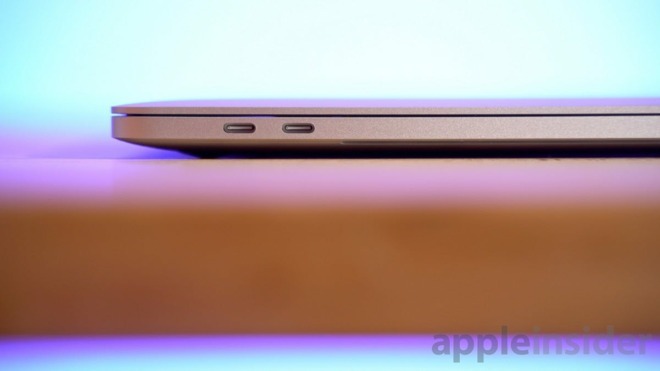 The current design of the 15-inch MacBook Pros is incredibly thin and light for the performance that they pack. There are other Windows alternatives that are more powerful but they require a lot more than 87W of power, and as we saw with the Dell XPS 15 if you’re working without wall power, all that extra GPU performance and slightly better cooling are lost and then some — even with all the power saving profiles turned off. Although the MacBook Pros have consistent performance when unplugged, that thin design forces smaller cooling assemblies than some of its thicker competitors. 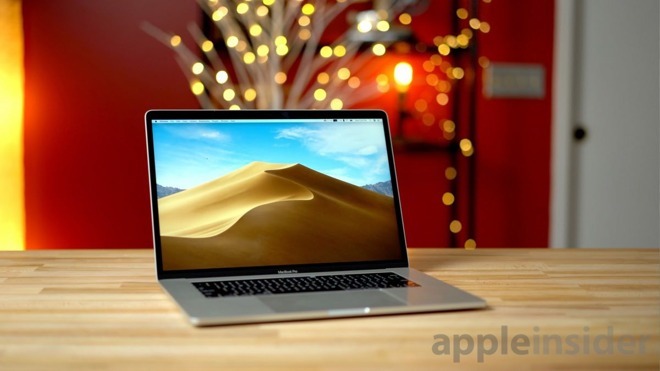 Even though each CPU option in the 2018 15-inch MacBook Pro features six cores, the CPU clock speeds are nearly identical after the fans and temps stabilize during a heavy workload. In our Cinebench R15 CPU test, which is designed to allow the systems to heat up and eventually stabilize by running it back-to-back repeatedly, there was only a 100MHz clock speed difference between the base 2.2GHz CPU and the top spec 2.9GHz i9. Based on the results, our initial takeaway was that the i9 CPU option wasn’t worth it for vast majority of users. Since then, Apple released new MacBook Pro models with Vega 16 and 20 GPUs. 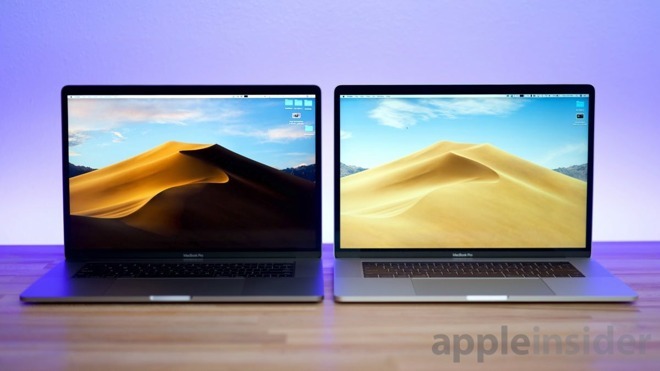 The pair are entirely new graphics chips which come equipped with fast HBM2 memory built right into the GPU package, with the entire package now cooled by the heat pipes, versus just the GPU in the previous model..
We have a full review of the Vega 20 equipped MacBook Pro that you can peruse if you want to see how it compares to the 555X and 560X models. Spoiler alert — the Vega 20 configuration is a screamer. That leaves one question: If you’re ordering the faster and more efficient Vega 20 graphics, is it worth spending another $300 to jump from the 2.6GHz i7 to the 2.9GHz i9? Starting off with the standard Geekbench 4 test, as we saw in the past, the i9 model showed noticeably higher single and multi-core scores. Geekbench tests a variety of tasks and the CPU usage is very low most of the time meaning the CPU can turbo boost higher resulting in the i9 scoring about 11 percent faster in single core and nine percent faster in multi-core. Onto our five-run Cinebench CPU test, which pushes all cores to the max, we see a bigger difference than in our previous ones with the 560X graphics. Our i7 is slightly slower than our previous i7 with 560X (991 score versus 1001) whereas the new i9 paired with Vega 20 is noticeably faster (1011 versus 1068). It also finished at a higher 3.25GHz clock speed versus 3.1GHz. It’s important to note that even though we’re seeing an eight percent difference and our i9 paired with Vega 20 is faster than it was paired with the 560X, chipset performance could vary machine to machine. Moving onto real-world tests, we saw no difference whatsoever in Adobe’s Lightroom. Our past tests concluded that the graphics were practically unused. The CPU’s all ran at the same clock speeds. What actually improved performance was having more RAM. Now that we have i7 and i9 models, both with 32GB of RAM, we see that the performance is practically the same when exporting 99 RAW 42MP edited images to Jpeg. Develop module performance was identical, both being very responsive. We then turned to video editing in Final Cut Pro X, and started with the Bruce X benchmark. Both machines took 48 seconds to render this 5K project, which was to be expected since this is mainly GPU intensive. Next, we stabilized a 20-second 4K H.264 clip. Both the i7 and i9 models paired with Vega 20 took just eight seconds to complete the task, which is very impressive but the performance is the same. Exporting a five-minute 4K project, our i9 MacBook Pro took 3 minutes and 21 seconds and the i7 model was two seconds faster at 3 minutes and 19 seconds, within the margin of error. Looking at a more power-demanding format, like 4K RAW from the Canon C200, both machines take much longer to complete the task. The i9 was 21 seconds faster, but given that this task takes about 14 minutes, that’s only about 2-percent faster. Both machines could play the edited footage back at 30 frames per second without issue. On graded 4.5K .R3D RAW footage from RED Raven, the Mid-2018 i9 Macbook Pro with 560X graphics finished the render with the CPU performing at 2.4GHz, 500MHz under its base rated clock speed of 2.9GHz. This RED RAW footage maxes out both the CPU and GPU, which results in a lot of heat output. The i9 had to throttle where the 2.6GHz i7 still manages to turbo boost up to 2.8GHz and was faster overall. Thankfully, that same i9 paired with the more efficient Vega 20 now runs at a stable 2.9GHz and our i7 finished slightly faster than before at 2.85GHz. Running at almost the same speed, the render times were almost identical; less than a one-percent difference. Wrapping up our results, even with the more efficient Vega 20 graphics, we don’t feel that the $300 2.9GHz i9 upgrade is worth the added cost if your workflows are long calculations. However, if your workflow lends itself to quick processor loading and unloading, then it can make a difference, practically demonstrated by the improvements seen in Geekbench 4. This all comes down to thermal design choices that Apple made, possibly based on promises that Intel gave the company in 2015 when it started working on this case design. As a result, when the i9 chip is placed in a thin and light notebook like the 2018 MacBook Pro, the thermal limitations inhibit the chip’s ability to turbo boost and maintain anything close to the maximum speed that the chip allows, and it ends up performing at very similar speeds to the less expensive i7. Affinity Photo, Plex, Halide, Alloy, more!